for $130,000 with 2 bedrooms and 1 full bath. This 925 square foot home was built in 1926 on a lot size of 0.1060 Acre(s). Est. 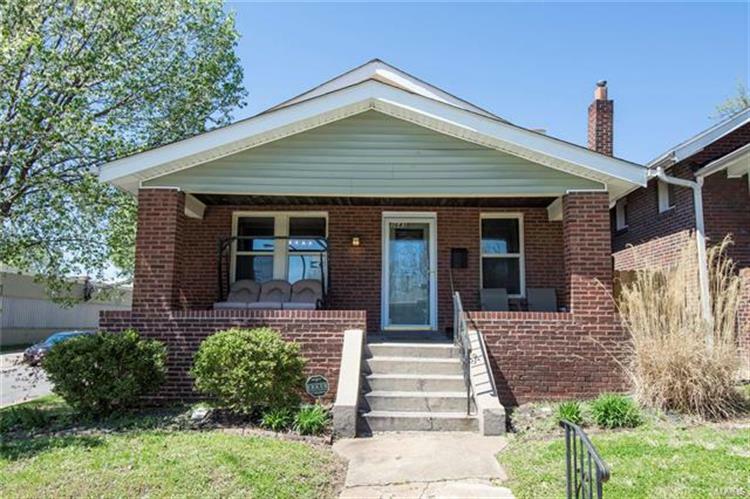 1926 - Adorable Tower Grove South bungalow - 2 bedrooms/1 bath with all the charm you love in TGS. Brick, hardwood floors, bamboo floors, rounded archways, faux fireplace, updated kitchen (s/s appliances, granite countertops) w/ lots of counter space. There is a bonus office/ reading room off the main floor bedroom. Big, level, fenced backyard just waiting for a bbq & washers tournament w/ friends and family. Hang out on the covered front porch and wave to neighbors out walking. Basement is a wide open canvas so turn it into additional living space. The second bedroom is upstairs so enjoy the privacy. Nice updates in 2012 HVAC, water heater, roof, some vinyl replacement windows & plumbing. Get pumped about being able to walk to Civil Life Brewery to enjoy Taco Sundays. 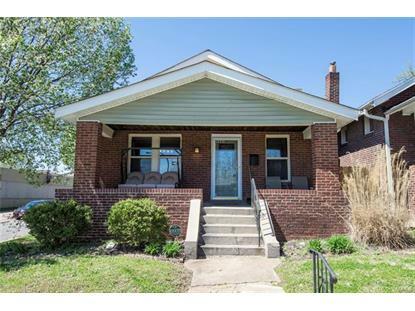 Quick access to major roadways in St Louis and close to the stunning Tower Grove Park. The data relating to real estate for sale on this web site comes in part from the Internet Data Exchange program of Mid America Regional Information Systems. Real Estate listings held by brokerage firms (licensees) other than Weichert Realtors are marked with the Maris logo and detailed information about them includes the name of the listing brokers. Copyright Mid America Regional Information Systems. All rights reserved.